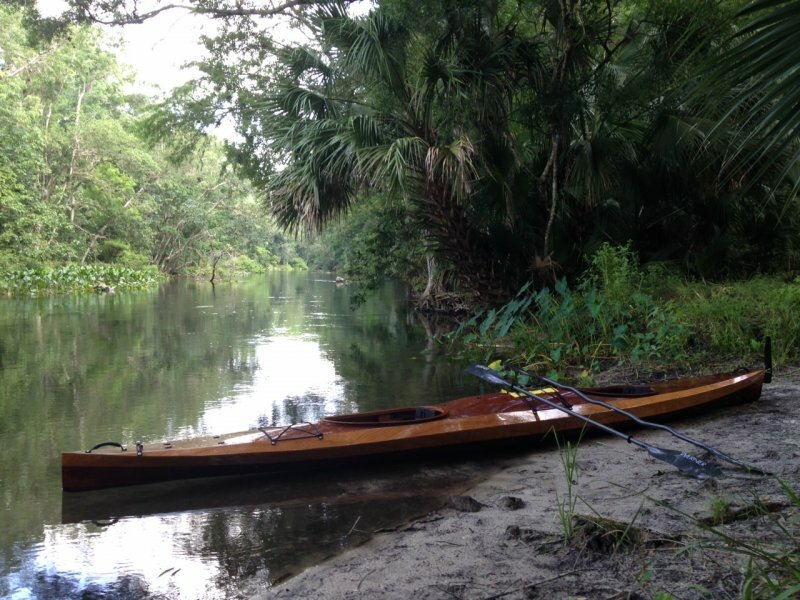 On June 17, 2015, Mark and Suzanne Nye launched their Shearwater Double at Silver Springs Florida. 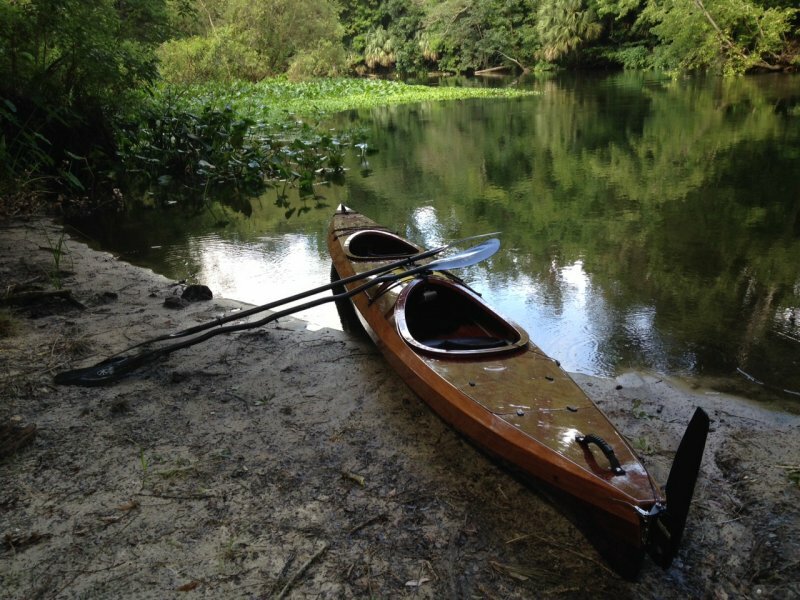 The kayak, built from kit by Chesapeake Light Craft, took approximately 135 hours over a six month period. Construction is stitch and glue with sapele deck and okume hull. The bottom hull panels were stained using Behlin Cherry to approximate the color of the deck. Fully rigged with Smart Track rudder system, the boat weighs 78#. 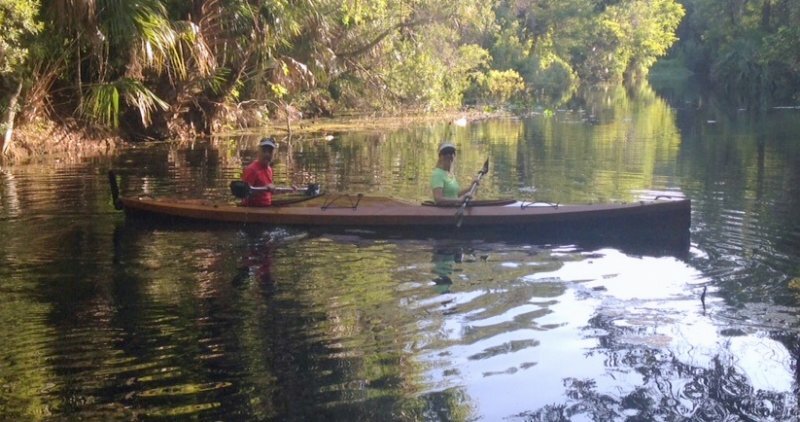 Mark and Suzanne will primarily use the boat to explore that many springs in the Ocala National Forrest. They also hope to do some kayak camping.